Eine Indierockband aus Italien und Österreich, die sich auf die wesentlichen Elemente beschränkt: Gitarre, Bass, Drums und Stimme. 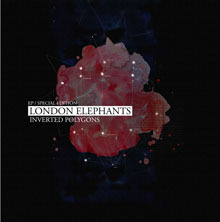 LONDON ELEPHANTS is a sensitive musicgroup celebrating exquisite sentiment tunes. [AUT/IT] A garageband trying to reduce the own sound environment to a minimum. No need for extravagant music instruments - just the typical usual basic rock instruments such as guitars, drums and bass lead to highest stimulation. Dive into fragile atmospheres and emotional heart packed lyrics. Absorb the different colours of LE music and get in touch with the meanings of contradiction and entireness by catchy repetitions and innovative style elements. The band is currently performing their "Polyphonic Tour 2012" and working on the new album "Inverted Polygons" coming out winter 2012. "Don't follow rules"